Is the Business Plan on its way out? Who Runs The Business After You? By now most people know the story as to why we call junk mail 'Spam'. It comes from an episode of the Monty Python TV show where a bunch of rude, disruptive types are in a café shouting the word "Spam" at the top of their voices, making it difficult for regular patrons to converse. So it is with junk mail as it disrupts the normal flow of online communications. Most commonly it consists of unsolicited advertising via email but has unfortunately expanded to include mobile phone messaging, blog Spams and classified ads. To meet the definition it usually means it's unsolicited and repetitive. There are dozens of reliable software systems you can purchase to act as filters, screening these messages - often so that you don't even see them on your desktop. You should however reject any software that claims to do the job at no cost or via shareware. Nobody does anything for free and it's usually a way to do the opposite, becoming Spam in its own right. Pay the money - it's worth it. 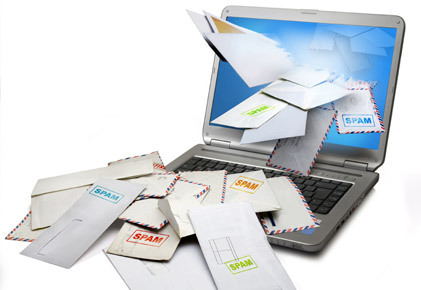 A number of jurisdictions have tried legal means to stop Spammers but it remains very hard to hold the senders accountable for their mass mailings as they constantly shift their own IP numbers using different Internet Providers. Spam is a kind of a parasite, which in nature lives on the host animal. With Spam, the costs, such as lost productivity and fraud, are a direct cost to the billions of Internet users and to reputable Internet Service Providers; all of whom have been forced to add extra capacity to cope with the deluge. When it has dubious words like "Get Rich Quickly" or "Free Goodies" or sexually explicit terms. Add to this your own diligence when other people have alerted you to the fact that a particular message is Spam. There are steps you can take to fight back if you want to take the time. The Spammers count on the fact that most of us are too busy to get involved as we just let our Spam filter handle the problem. A number of services have been set up to take the fight to the villains. If you have been targetted by a Spammer and it's giving you a headache, you can contact any of these organizations, most of whom have an online form to report the infraction and they have systems in place to give these guys the headache rather than you. SpamCop is perhaps the biggest and best-known Spam-reporting tool there is. Spam Identifier is a tool for looking up the owners of an IP address or domain name. SpamAbuse.org has Spam tracing and reporting tools. Alert!Spam is a Spam reporting service. Remove Spam is a Spam-reporting service that offers manual tracking and reporting of your Spam on a per-report or monthly fee basis. One particularly insidious form of Spam is knows as Phishing. Phishing is the attempt to acquire sensitive information such as usernames, passwords, and credit card details by masquerading as a trustworthy entity in an electronic communication. Watch out for any unsolicited mail that asks you for any information whatsoever. Don't even reply to decline their offer, since that may be all they need to add your email to their repetitive target list. You even have to watch out for some seemingly innocuous message from your bank, simply asking you to confirm some detail such as your address. Banks don't do this - ever. Might you be considered as a Spammer? Since we all generally hate the concept of spamming, it can be a shock to have someone brand you as a Spammer. Usually this originates when a non-Spammer (you) sends out some unsolicited advertising. In your case you may feel that you're actions are not offensive since you only sent it to your regular customers but some people will categorize any unrequested communication as Spam. There is a need to be particularly cautious these days as governments impose tight restriction under privacy laws. Essentially this legislation says that you must have the permission of someone to send him or her any kind of messaging. Remember that trust is your most important product and to build trust never give your customers something that they might consider to be Spam. Whether it's conceptualizing a new business or updating an existing one, for the past 30 years the idea of doing either without a professional business plan would lead to a lot of eyeball rolling - and for good reason. Any consultant or business school professor will tell you that every great business begins with a plan that outlines measurable goals and the methods for achieving them. Plans, done correctly, can be a great roadmap. 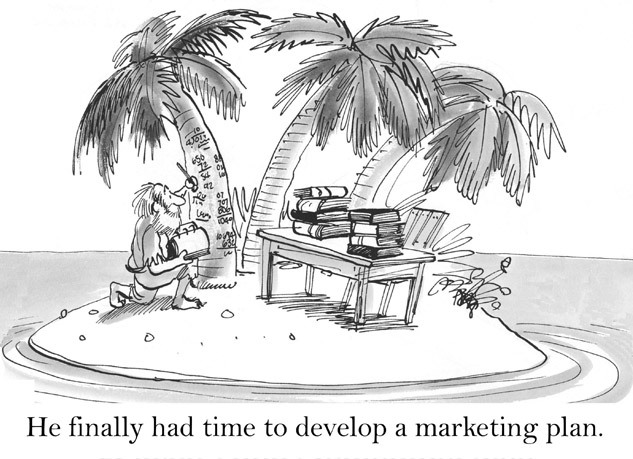 Surprising to many, the idea of a written business plan is relatively new. Essentially it became a standard business instrument about the same time as the Silicon Valley revolution in the 1970's - and it's become almost sacrilegious to start a business without one. 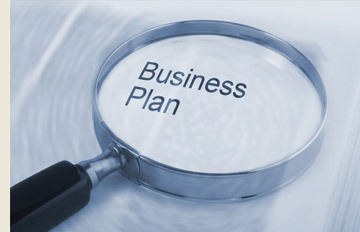 However a number of business leaders are starting to ask if the existing model of a Business Plan may be out date. Newer startups may be shocked to hear that long-time serial entrepreneurs almost never do a business plan. Often they simply call up a buddy in business and on a sheet of paper outline the next moneymaking idea. The apocraphyl stories of great tech companies that started by being sketched out on a napkin in a bar are very close to the truth. Everyone would agree that you need some kind of a plan to build a cabin, take a major vacation or build a business. The question is: Just how detailed does your plan have to be? I have seen entrepreneurs walk in with a doorstop of a plan of a hundred pages or more. The question is who is going to read it? Your banker needs to know that you have thought out the process and that you are realistic in your projections. But any business banker will tell you that she never gives your handsome plan more time than a quick glance at the rationale and the spreadsheet - where it's understood that revenue projections are at best a good guess. The most impressive thing that walks into your banker's office is you. How you present yourself, your level of confidence and your sense of passion are all elements that help your case much more than the written document. So who is it supposed impress? Customers of course are never going to see your business plan and we've already talked about your banker's level of interest. Increasingly even investors are becoming less fond of them. Financial guru Edward Simpkins of the Silicon Valley Investment Network says that his people would rather that entrepreneurs spend the time working on their product and talking to users and potential buyers. "What we care about is: Have you built a prototype product? How much market research have you done and is it credible? Have you spoken to users?" When it comes to revenue projections, the size of the market is considered a greater indicator than a guess as to how may people will buy the product or service. OK so we can forget about writing a small saga but some form of written plan is required since it's still important to map out your business model and document your thinking. Increasingly the buzz is around something called a "Lean Canvas." You'll notice it's really a system of bullets that touch on your product/service and your market. Each point is then extrapolated with a short paragraph making it a quick and easy read. A good approach is to write your Business Plan on six to ten PowerPoint slides. If you can't do that - it's too wordy! If this all seems a bit too brief for you I suggest you watch a few episodes of Dragon's Den or the Shark Tank where six billionaires make quick judgements on investing their own money in the entrepreneurs standing before them. Their decision whether or not to begin due diligence is based on a half dozen pointed questions about the product and the experience of the presenter. Of course you need a plan and you should consider all of the potential scenarios involved in costs, revenues and market penetration. Your best work will come however from 'management by walking around', talking to your potential market, talking to your potential competition and staying right up to date on trends in your industry. You need to find out where the parade is going and get in front of it! Now take all of that intelligence gathering and put it in writing - but remember you're not writing a book - you're just sketching out a map. Here today. Gone tomorrow. This is obviously something most businesses do not want to think about. How will the business continue carrying on after the loss of the owner? Will you as the founder receive deserved benefit for the years of money, blood, sweat and tears invested in the company? It's surprising how many company founders, when they get to retirement age, simply fold up the business and walk away without trying to sell the firm, sometimes leaving many thousands of dollars on the table. As the Boomer tide grows over the coming years, more than half of the country's current small business owners are expected to retire. Will you be one of them? As the Boomers inherit from their parents it will trigger an estimated $1.3 trillion in assets changing hands in Canada. That's the largest inter-generational turnover of wealth ever. There are several anticipated results of that wealth transfer. Many business owners will suddenly have the money to retire and will therefore want to sell their business while other Boomers will have the money to invest in buying an established business - maybe yours. Rather than find an outside buyer, many business owners may look to their own family to take over the business. The upside is that the business you created may reasonably be expected to continue on its present course and mission. On the other hand, it usually minimizes the earnings to you as the founder. This may lessen the money that you were counting on for retirement, since the kids will want a bargain. Or they may have simply decided that running the family business is not for them. If that's the case it's better to find out early. A study by CIBC suggests that only two in five small business owners have a clear plan for exiting their businesses. Less than 40% of entrepreneurs aged 55 to 64 reported having begun the discussion on their exit plans with their family or business partners. Accomplish the smooth transfer of your business, retaining the customer base. While it may seem to be a daunting task, if you start the conversation with your advisors including your banker and accountant, like all challenges it will be less daunting as you take control of the discussion. An evaluation as to your level of readiness. Is your business prepared for a successful succession? Are your estate plans and retirement plans up-to-date? The objectivity that comes from a third party. Based on their input, you can begin to plan your specific succession planning needs and any special considerations, such as transitioning a family business, or selling to a key employee. Similar to a good business plan, as your business grows and evolves, your exit plan should be periodically reviewed and updated so that it continues to meet your needs and reflects the reality of the marketplace and real estate values. If you find yourself on the upside of fifty or if your business has passed its 20th anniversary, don't procrastinate for too long. Early planning will bring you piece of mind and a positive retirement fund - something that too many entrepreneurs miss out on. If you're like most entrepreneurs anyway, you'll never fully retire that brain of yours but you will have the opportunity (and the money) to branch out into some other dream you've been nursing for years.